LPS athlete Maxine Thompson stormed to an impressive win in the 1st West Lancs Triathlon event held at Edge Hill Campus on August 28th. 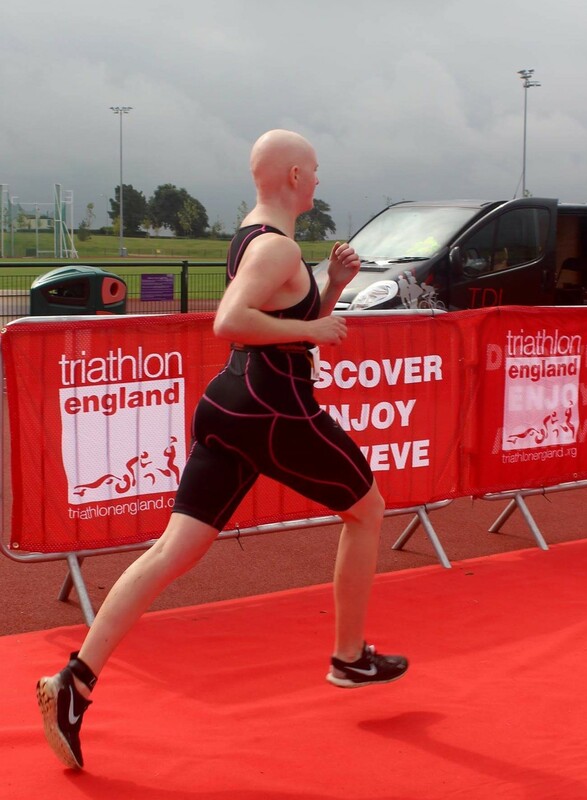 Maxine completed the 400 metre pool swim, 20k bike and 5k run in a time of 1 hour 4 minutes and 55 seconds almost a minute ahead of the second woman home and she gave most of the men some hard competition as she finished in 13th position overall in the 300 plus field. Hitting top spot was Clare Constable who finished off her successful track season this August with a 1m.40.37 600 metres at Stretford on 16th August and followed that up with an 800 metre performance of 2.21.52 to take her to the top of the UK rankings for O/45’s. Clare may be heading to Perth , Australia for the World Masters Championships in October with the hope of getting on the podium for a medal.